With contributions from 30 leading media scholars, this collection provides a comprehensive overview of the main methodologies of critical media studies. Chapters address various methods of textual analysis, as well as reception studies, policy, production studies, and contextual, multi-method approaches, like intertextuality and cultural geography. Film and television are at the heart of the collection, which also addresses emergent technologies and new research tools in such areas as software studies, gaming, and digital humanities. Each chapter includes an intellectual history of a particular method or approach, a discussion of why and how it was used to study a particular medium or media, relevant examples of influential work in the area, and an in-depth review of a case study drawn from the author's own research. 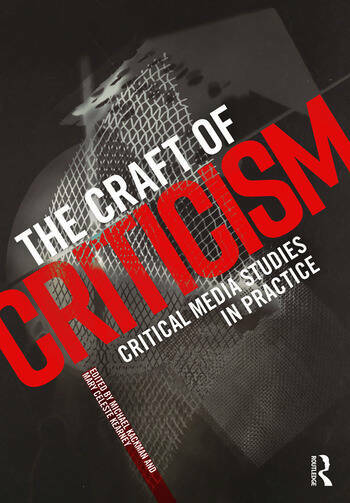 Together, the chapters in this collection give media critics a complete toolbox of essential critical media studies methodologies. Michael Kackman is Associate Teaching Professor in the Department of Film, Television, and Theatre at the University of Notre Dame, where he teaches courses in the history and criticism of U.S. television, Cold War cultural history, nationhood and political culture, and history and memory practices in everyday life. He is the author of Citizen Spy: Television, Espionage, and Cold War Culture (University of Minnesota Press, 2005), and co-editor of Flow TV: Television in the Age of Media Convergence (Routledge, 2010). Mary Celeste Kearney is Director of Gender Studies and Associate Professor of Film, Television, and Theatre at the University of Notre Dame. She is author of Girls Make Media (Routledge, 2006) and Gender and Rock (Oxford, 2017). She is editor of The Gender and Media Reader (Routledge, 2011) and Mediated Girlhoods: New Explorations of Girls' Media Culture (Peter Lang, 2011), as well as co-editor (with Morgan Blue) of Mediated Girlhoods’ second volume (Peter Lang, 2018). She is academic editor of the book series Routledge Research in Gender, Sexuality, and Media, and serves on the boards of several academic journals.